For dentists that accept Guardian dental insurance, call Mansouri Family Dental Care & Associates. If your family is covered under Guardian dental insurance, we would be honored to provide your dental care. We are a comprehensive, family dental practice serving the community of Marietta and the surrounding areas. Our practice offers complete preventative, general, cosmetic and restorative dental care for children and adults of all ages. Our dentists and staff are committed to restoring and enhancing the natural beauty of your smile using conservative, state-of-the-art dental procedures that result in beautiful, long lasting smiles. Drs. Azita A. and Michael S. Mansouri of Mansouri Family Dental Care & Associates, are experienced dentists that take Guardian dental insurance. If you and your family are covered under this plan, you have access to the best dental care available in Marietta. We are a dental practice that is highly focused around prevention and education. Our dentists and staff work hard to help our patients establish good oral hygiene habits to promote a lifetime of good oral health. Our dentists are also extremely talented in the fields of restorative and cosmetic dentistry. Whether you come into our practice for routine dental care such as a dental cleaning or a complete smile makeover, you can expect to be treated with kindness and respect by every member of our team. 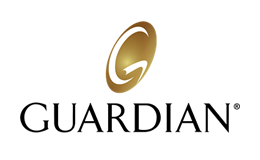 Mansouri Family Dental Care & Associates is currently accepting new patients and we accept Guardian dental insurance. If you or a member of your family is in need of dental care, please contact our Dentists That Accept Guradian today to schedule an appointment with one of our talented dentists. We thank you for allowing us to take care of your dental needs and we look forward to exceeding your expectations.